This was another exciting project I finished just in time for last Christmas. 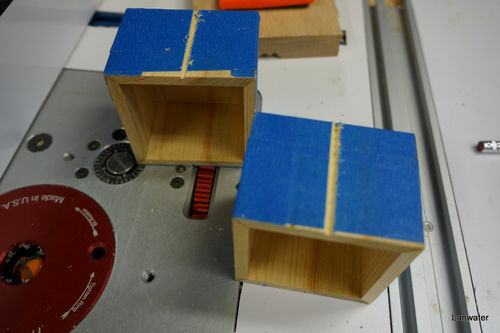 I am sure some LJ’ers will recognize the design of Martyn (BritBoxmaker) . I tried one box without the top crossing strings to see how it would look. My wife is certain I forgot the strings (she might be right…). I printed Martyn’s blog and pretty much followed it with a couple small differences. 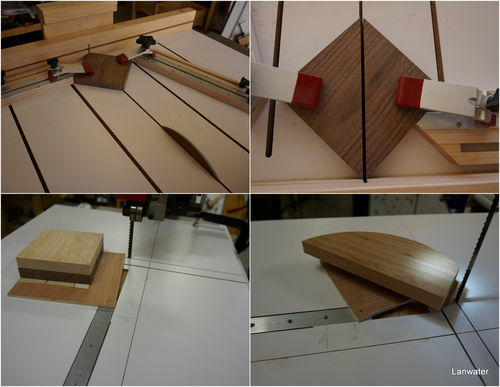 I switched to my crosscut sled. 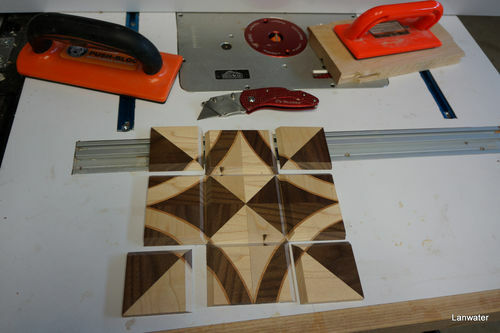 Since I am making 2 boxes, I Started by cutting the 4 squares , 2 each of walnut and maple. 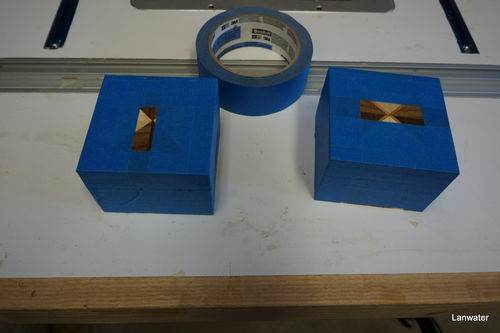 Sliced them diagonally, stacked them up securely with double sided carpet tape, affixed them to a 1/4 inch plywood square that served as a carrier. 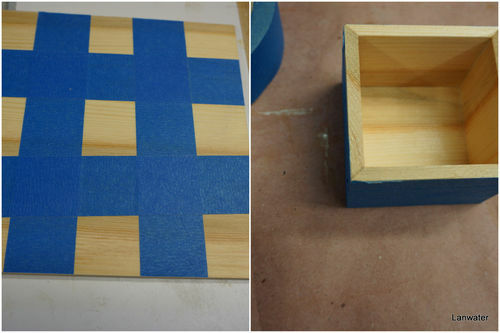 The 8 resulting pieces (4 per box) were cut again to get back my 45 degree since things moved during glue up. The cherry strings were also trimmed as well. 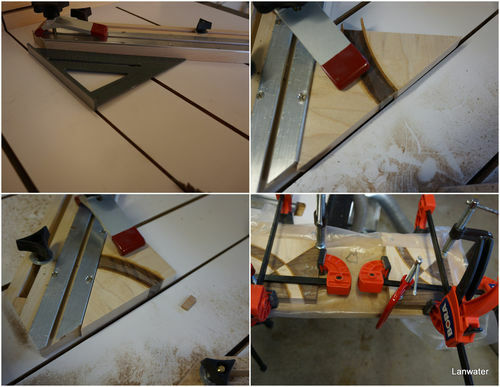 I glued up those thin pieces by sandwiching them between the edge of the glue platform and nails; raised the pieces a tiny, drove the nails, applied glued and pushed down on the pieces. 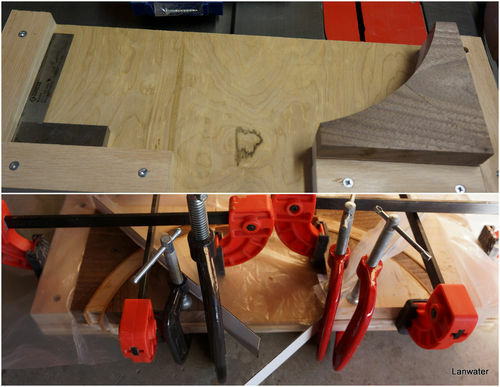 That resulted in the clamping pressure needed. You can see the glue squeeze out in the bottom right picture. I chickened out and did not glue all four pieces in one shot. Instead I glue each half first then the whole. I used a small piece of white plastic laminate scrap to keep them separate. I saw this technique somewhere online a couple of years ago and used it here. 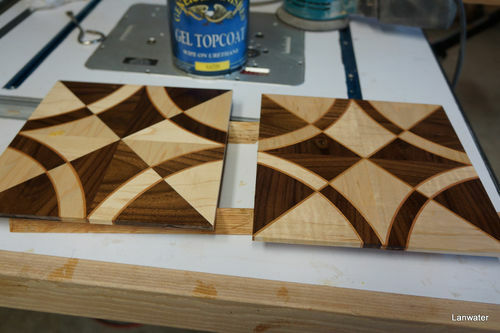 Once the glue dried up and the pieces sanded, I applied a couple of coats of wipe on poly. 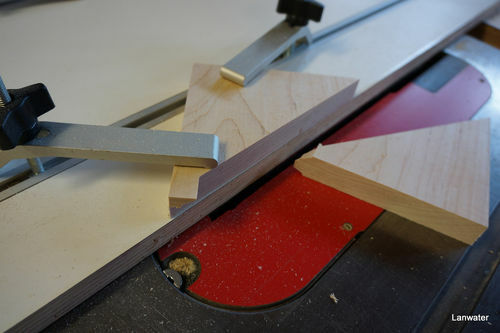 I then proceeded to cut the V groove on the router table. I used a box cutter to separate the 4 corners. All folded and taped up. View of the inside of the lid. 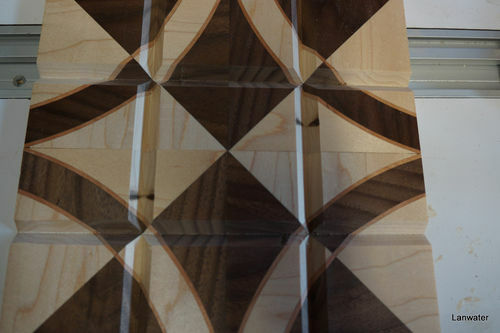 The bottom was cut out of salvaged wood from a pallet. I think it’s pine but I am really unsure. All I can say is it sands really easy and it’s very soft. At a quarter inch thick it breaks with little pressure. One broke on me. After careful measurement of the box top inside, I used the same technique as above and we get the bottom. With some light sanding of the sides, it fits pretty nice. 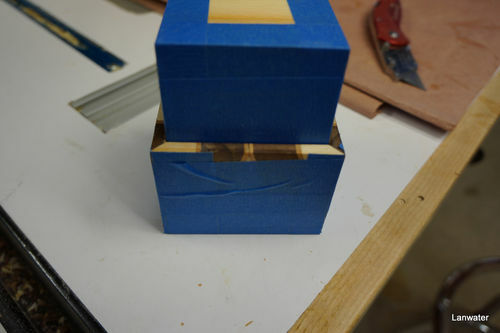 Cut the shallow grooves (1/16 deep) needed for the air to escape when you close the box, and the air to go in when the box is opened. 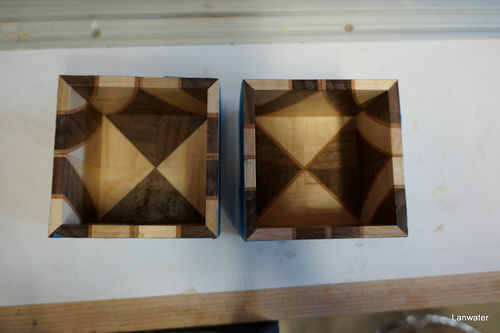 Added some mitered walnut pieces around the bottom and we get those 2 boxes. If you feel it’s very confusing, you are not alone, I feel the same way. I had fun building those 2 boxes. Despite all the mistakes I made they came out ok; that’s a tribute to the fool proof process/technique Martyn came up with. I think they came out fantastic! Really a fine work and what a wonderful documentation, I feel like making one. Not your ordinary box ,it looks great . You must have spent a fair amount of time to build it,good work. 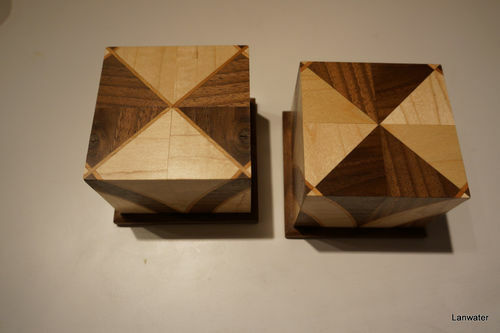 I need a router table and a bandsaw so badly… Awesome looking boxes! 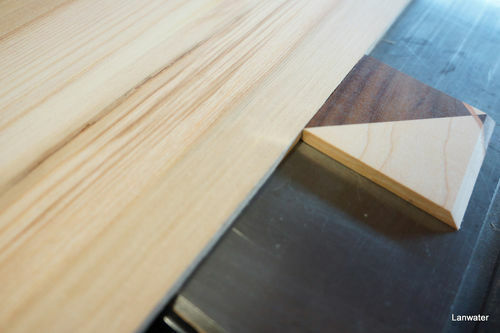 -- Measure twice, cut once, cut again for good measure. Very well done, great looking boxes. Well done and well planned. Martyn is a great resource here. Great looking Boxes! Hats off to Martyn for sharing his techniques. That’s some really exceptional work! Well done. Mafe: Thanks for your kind words my friend. clarkey: I had several project running at the same time for Christmas gifts so I did not keep track of time. 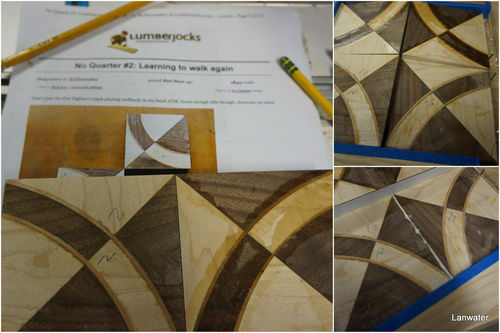 I would say the most time consuming part is the glue up. Jake: I hear you. 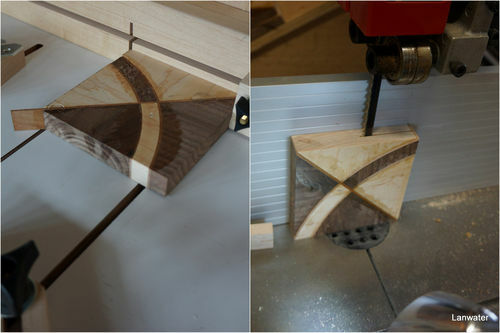 The router table is indispensable in my opinion. I use my bandsaw the least in the shop. Thanks for the comment. Roger: Did you change your avatar? Thanks! shipwright: You are a great resource as well. It always a learning experience to read your post. Thank you! Philip: Thanks! I agree. Martyn does not hold anything back. I am sure he spends a great deal of time writing his blogs. Very nice designs and fine work. Congratulations.